Is snow falling in your area? Are you snowed in? Even if you are in the sunny South, take advantage of all the snow talk in the media to involve your children in integrated fine motor and science activities. For those of you in snowy areas, bundle up and observe the snow. 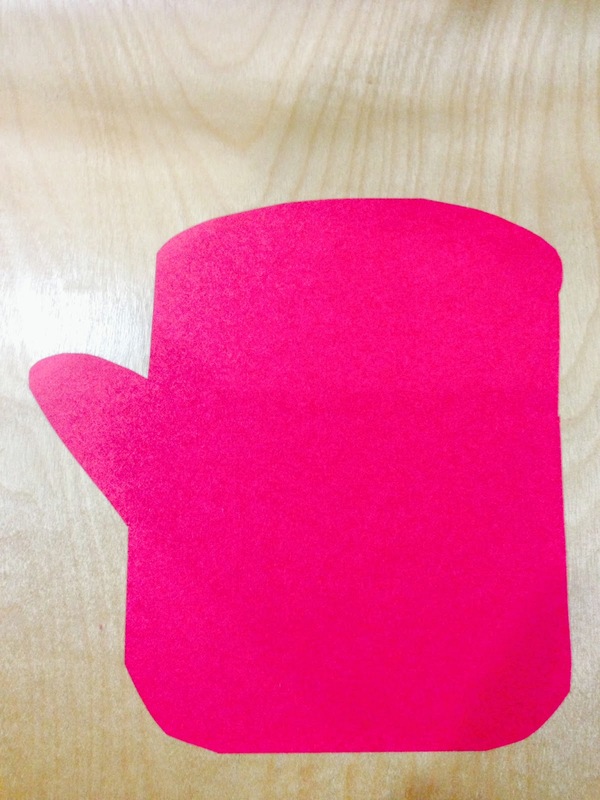 Use a giant magnifying glass to look at the banks of snow or collect individual snowflakes on a mitten. Ask children, “What do you see?” Invite them to explain why snow falls. · What is the air temperature like when it snows? · What does the sky look like when it snows? · Do you think the snow could turn to rain? · When could it do this? These and other questions involve children in scientific inquiry. There are many fun activities to encourage learning that can be done even in snowy weather. Build a snowman and use words like rolling, lifting, above, etc. These help children to use verbs in correct ways. You can even add math to the fun by talking about the 3 snowballs for the snowman’s body, the 2 eyes, 1 nose, etc. 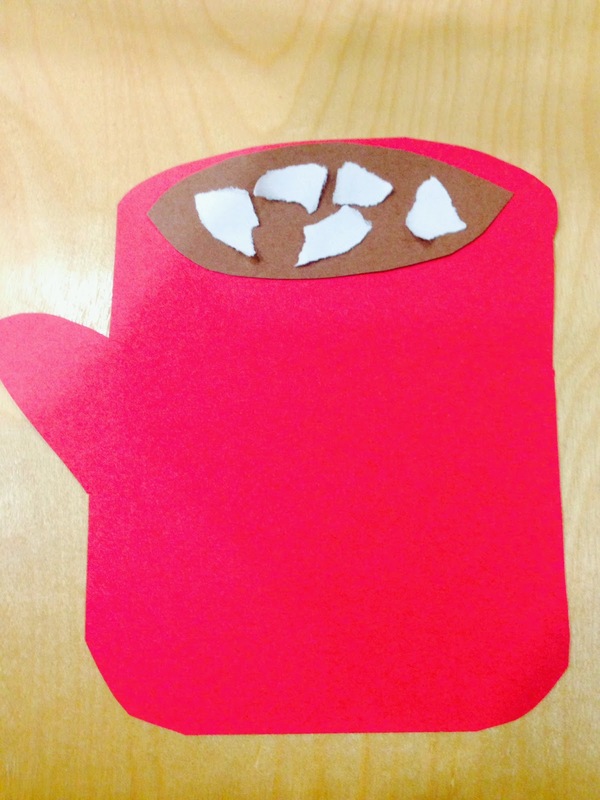 When it’s time to go into the warmth, build those fine motor skills with this engaging art project. The adult cuts out a mug. Draw an outline of hot chocolate. Have the child cut this out. (This allows important cutting practice.) 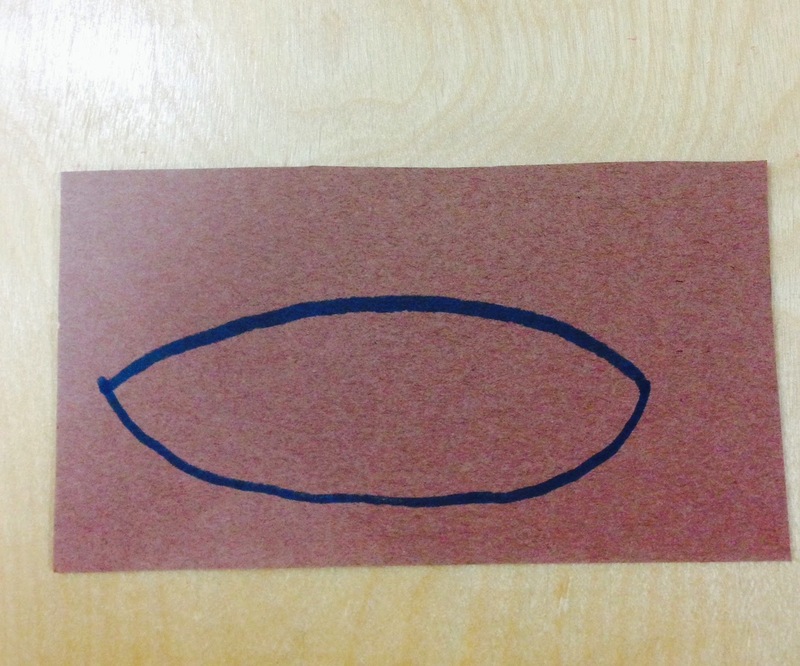 I like to draw the outline and give the child an appropriate-sized piece of paper, as shown. This helps children cut with a greater degree of accuracy. Have the child glue the hot chocolate onto the top of the mug. This uses another direction word, top. In addition, squeezing a bottle of glue helps build hand muscle strength, needed for fine motor control. Give the child a scrap of white paper. 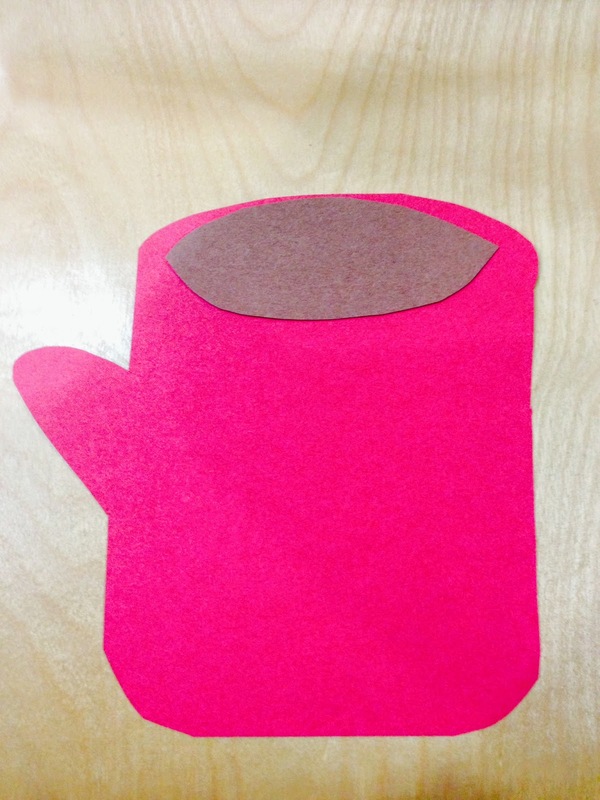 Encourage him or her to use the thumb and forefinger (pincer grasp) to tear small pieces of paper. Glue these on the hot chocolate to become marshmallows! Enjoy the weather and the range of possible learning activities it brings! Why not visit your library and check out 2 of our favorite snow books? We love The Snowy Day by Ezra Jack Keats and Snowflake Bentley by Jacqueline Briggs Martin. NAEYC: 2.C. ; 2.D. ; 2.G. ; 2.H. Head Start: I.D. ; III.C. ; IV.A. ; IX. A. B.; XI. A. B.